At Down Home Heating & Air, we know you by name. And, we’re ready to meet your heating and cooling needs in Clever, Nixa, Springfield, Monett, Branson, and all surrounding areas. During the month of February we’re running an incredible special with 15% off the first three months of any service agreement! We love to provide ongoing service for your heating and air needs. You can trust that our work is always top-notch, and we’d love to have you take a look at some of our recent projects. We offer highly affordable services and products, and we make it easy to upgrade or repair your systems with special financing. 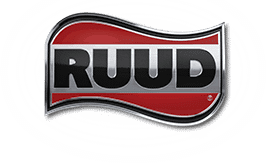 We offer Ruud installation services as well as Ruud A/C system repair and maintenance.